Small Groups are our jam. They are where we study Scripture and live life together, where discipleship + community + witness meet. 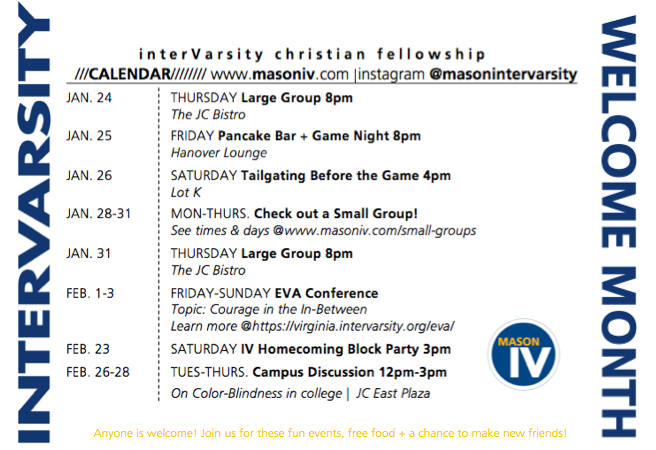 A weekend away to bond with your small group, have fun getting to know the rest of the IV community + hear from the Lord. The place where our whole community comes together to reconnect, hear the Word and respond in worship. are you a freshman or transfer? 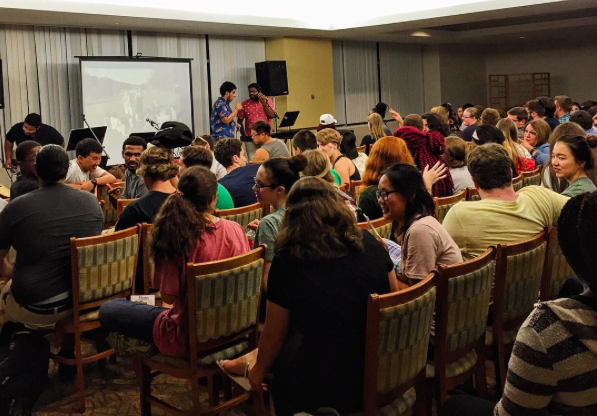 Regardless of your faith background or beliefs, everyone is welcome in Mason IV. We invite you to hang out, explore who Jesus is, and feel at home! Subscribe to Mason IV's weekly email!